Basepaws is a pet genetics company founded in 2016 in Redondo Beach, California. Apart from developing the first ever consumer DNA test for felines, Basepaws is also famous for being a part of Singularity University’s 2016 Launchpad Incubator and winning the Japan TechPlanter SF Award. 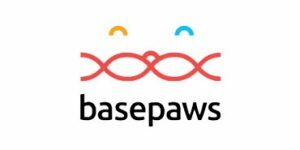 The ultimate goal of Basepaws is to create the largest biobank of pet genetic data using its proprietary budget-friendly sequencing technology. The biobank will serve to develop optimal animal models for preclinical testing in drug development for pets and humans. If you want to know how Basepaws plans to achieve its end goal and what it can do for your furry friend(s) along the way, read our comprehensive Basepaws review and learn all there is about the company and its services. Placing an order – You can do this directly on the official website. To place an order, you have to provide the company with your payment details (the company accepts Visa, MasterCard, Amex, and PayPal), your first and last name, address, city, ZIP/postal code, state, and phone number. You also have to specify whether you are ordering the test for a hairless cat. Collecting the sample – Once your personal Basepaws CatKit arrives at your address, all you have to do is collect your pet’s DNA sample. Your cat’s DNA will be extracted from hair follicles or buccal cells if you own a hairless feline. Note than hairs do not contain any DNA, just the follicles. Basepaws is highly committed to non-invasive sample collection, so the company will never request any blood samples for its testing. Sending the samples back – After collecting your cat’s DNA sample, you need to send it back to the company’s lab in Los Angeles for testing. Basepaws DNA test (95.00$) analyzes the DNA sample of your pet and provides you with vital information regarding its breed, heritage, and potential abnormalities in a few important genes. Unfortunately for cat lovers, feline DNA is not as thoroughly studied as, let’s say, canine or even mouse DNA. The company is dedicated to bridging this knowledge gap – and having a large DNA database is the first step in that direction. By testing your cat with Basepaws, you are not only learning more about your pet but also helping the progress of feline genetics as a scientific branch. Unlike its competitors, Basepaws actually sequences cat DNA, which includes DNA we currently know nothing about. 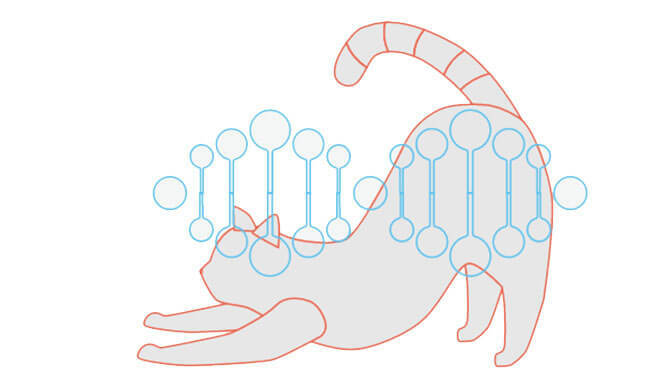 Sequencing the entire genome (all DNA) of your cat is not exactly budget-friendly (this option costs $1,700), so Basepaws sequences only 27 million nucleotides. You are probably wondering why you would sequence and explore those parts of your cat’s DNA science knows nothing about. Basepaws intends to advance the field and identify the functions of every single gene in feline DNA. Every test comes with unlimited (and free) future updates, so your report will follow the latest scientific breakthroughs during the entire lifespan of your cat. Basepaws can also sequence the genes in your cat’s DNA without genetic packaging for 800$. The company also performs tests on specific cellular tissues for methylation or gene expression to help cats with cancer or other diseases and conditions. This service starts at 400$. In short, Basepaws feline test will tell you how closely your cat is related to select cat breeds and wild cats. The report will also include maternal/paternal tracing and indicate potential inbreeding. The current Alpha Report covers 23 popular cat breeds with many more to come. The blue markers on your result portal indicate the degree of likelihood for every breed. The markers can be wider or narrower, which simply shows the current state of Basepaws’ database for that specific breed, that is, how many DNA samples the company currently has for comparison. The Basepaws Alpha Report features comparisons of your cat’s DNA to 16 different breeds of wild cats (tiger, puma, snow leopard, and others), which are listed in order of best match. If your cat shows high genetic similarities with snow leopards, it is probably caused by random inheritance since snow leopards cannot breed with housecats. On the other hand, if it shares a lot of genetic material with servals, it is quite possible that your cat has an actual wild serval somewhere in its family tree. 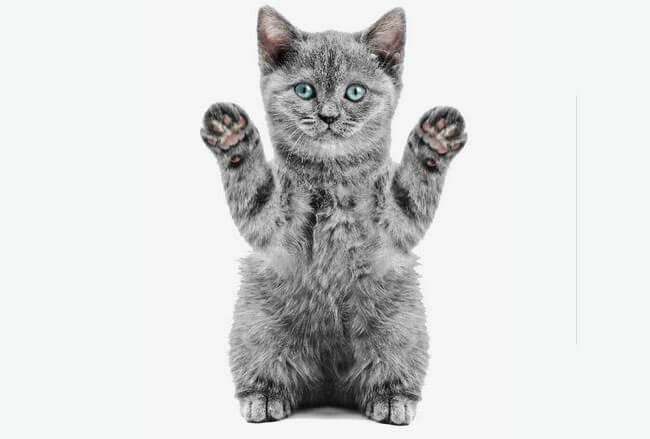 Basepaws has big plans for result instances that will go online in the future (in 2018/19), including Health Report (genetic health risks, carrier status for HCM and PKD, and potential genetic diseases), traits (personality predictions, physical traits, catnip-addict likelihood, and fun facts), wellness (diet recommendations and other assessments), and several bonus features (raw DNA data, report for your vet, and others). Basepaws is currently conducting its own study trying to identify the genetic basis of specific diseases and traits. The company is handing out free DNA testing kits to all owners of unique cats that meet the study criteria. In order to qualify for participation, you have to submit records of listed diseases. The list of diseases is changed rather frequently and you can even make your own suggestions regarding the future course of research. The current list of diseases and traits of interest includes asthma, acromegaly, diabetes, hyperthyroidism, hypertrophic cardiomyopathy, polycystic bowel disease (IBD), Porto-systemic liver shunt, and polycystic kidney disease. Bottom line, Basepaws really needs to work on its privacy and security policy in order to make sure its customers can safely purchase and use its services. Basepaws offers free shipping and prepaid return envelopes for US orders. International shipping has a flat fee of 15$. Note that the company doesn’t cover return shipping costs for international orders. Basepaws is definitely an ambitious company with its heart in the right place. The team is tackling a pretty neglected area of genetics and trying to connect the dots of feline DNA and explore this great unknown field one gene at a time. Our ratings are the result of an objective and independent evaluation of Basepaws , generating the final rating that reflects the overall quality of the company. Ratings may change as the service changes. Basepaws user rating based on 6 user reviews. I have had three of my cats DNA tested with Basepaws and I love what I'm seeing! 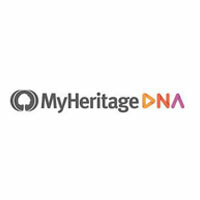 This is still a very young company and every DNA sample they get helps them expand their data set and means more refined results for everyone. People that are getting their cats tested now may see results change some down the line but that is because they are constantly adding to the data set and I am so happy that my cats and I can contribute to knowledge that is going to be so beneficial in the future. For two of my cats, the results changed a fair bit from the first report to the current one and that is incredibly fascinating to me. I can't wait until they are able to do more with the DNA such as parentage and disease potential. It can take a while to get the results back but it is well worth the wait for the information they are delivering and will be able to provide in the future! I have a total of 24 cats and I want to get them all tested eventually! If genetics interests you or you are an enthusiastic cat guardian who wants to know everything they can about their fur baby, this is a great way to get some fun info about your cat! I've had two of my cats tested and am very pleased with both the results received and customer service this company provides. It has been very interesting to learn which cat breeds my kitties are most similar to and the info helps me better understand not only their possible ancestry and why they might have certain physical traits, but reasons for their behavior and likely health risks as well. Whenever I have had questions, they were quickly and thoroughly addressed. This company is currently growing and expanding their service, so I look forward to finding out more about my cat with their updates over time. I contacted Basepaws initially because it had been 3 months. They told me it would take them to the end of January. About mid January I receive what seemed like a generic letter stating how unique my cat was & it was taking longer than usual. I write them again & ask so, I’m not getting my results by the end of January? My response was... you were told in the beginning it could take up to 5 months. So, if I didn’t want to wait, I could have a full refund. End of story. In other words... wait or shut up. I will never recommend this company to any of my friends & I have many animal friends & quick to recommend. Why would I want a full refund in my FOURTH month? You’ve made me wait this long! I felt the response was rude & uncaring. Dear Donna -- My sincere apologies about our current timeline, and about the poor customer service. Most of our reports are done within the 8-10 week period, and very few need to be re-sequenced and *can* take up to 5 months. We are very transparent about this on our site -- cat genetics is a new field, sometimes we make mistakes and need to re-do our work. I am especially sorry about the issues with communication with us -- please do connect with me directly, I will be happy to support you >> anna@basepaws.com. - Anna Skaya, CEO @ Basepaws. I realize the company is still young but come on, 5 months for results??? Yes, some of our reports can take up to 5 months! This is due to genetics in general (it's quite hard to get an accurate report, and mistakes are easy!) and cats specifically. Cats are understudies and underfunded, and our work is quite unique in the cat space. Breed-specific reports do tke time, but with more data we hope to bring the timeline to 8-10 weeks across 100% of our customers. This is a great way to really get to know your babies! I can't wait to get more updates and bonuses in the future. We found 0 verified Basepaws discounts for April, 2019.